This article contains good news and bad news. I was in attendance at this meeting along with AERA President and TRS/PEEHIP Board of Control Member, Joe Ward and our government relations specialist, Jake McMillan. This is the third meeting of the Joint Legislative Committee on Alabama Public Pensions. I believe that the body of legislators sees that the pension system is not in financial trouble overall or believe what others were reporting to be the case. However, I want to point out that Pew Charitable Trusts presenters brought to the legislators’ attention the high cost of PEEHIP especially as it relates to retirees. We must be ready to defend and fund PEEHIP when the 2016 Legislative Session begins in February. 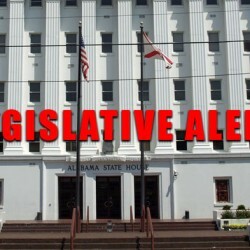 The resolution included states the purpose and goal of the Joint Committee on Alabama Public Pensions. This too contains good news. 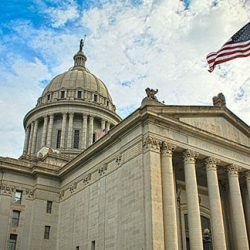 Changes to the state’s pension system will not affect current employees or retirees and keep the Legislature in day-to-day pension management. That, at least, was the goal stated by the Legislature’s Joint Committee on Public Pensions – both by individuals and in a resolution approved by members at the start of a meeting Thursday. 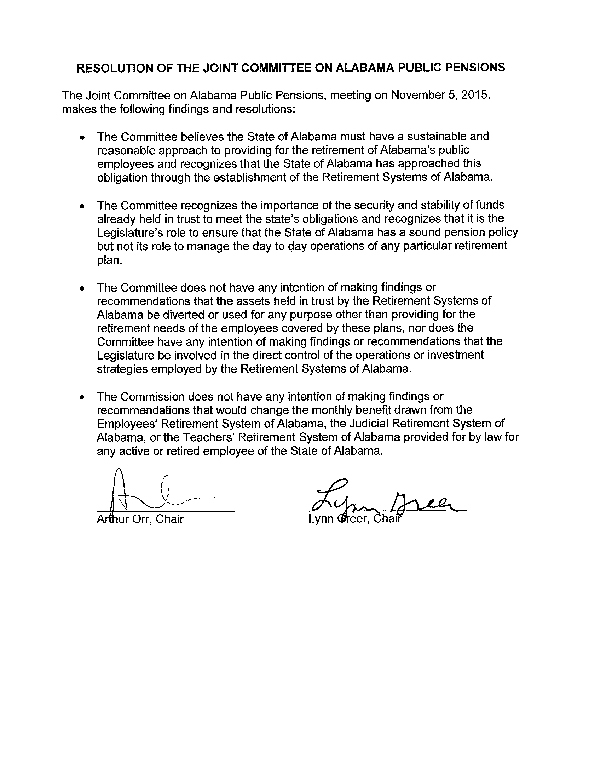 The resolution said the committee, charged with exploring the long-term health of the state’s pension systems, “does not have any intention of making findings or recommendations” to use money managed by the Retirement Systems of Alabama for anything other than retirement. The resolution also says committee “does not have any intention” of recommending reductions in the benefits paid to employees.